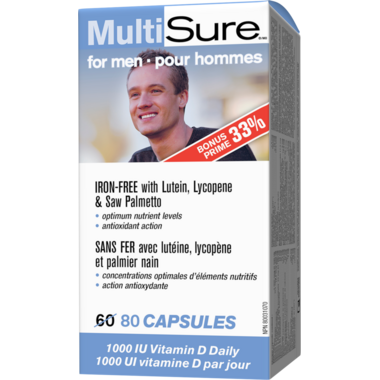 Webber Naturals MultiSure for Men is a complete multivitamin and mineral formula that provides a full range of nutrients to support men's health, especially men with sedentary or moderately active lifestyles. Like all MultiSure customized multis, only 2 capsules per day provides basic nutritional insurance. The best men's multivitamin on the market!